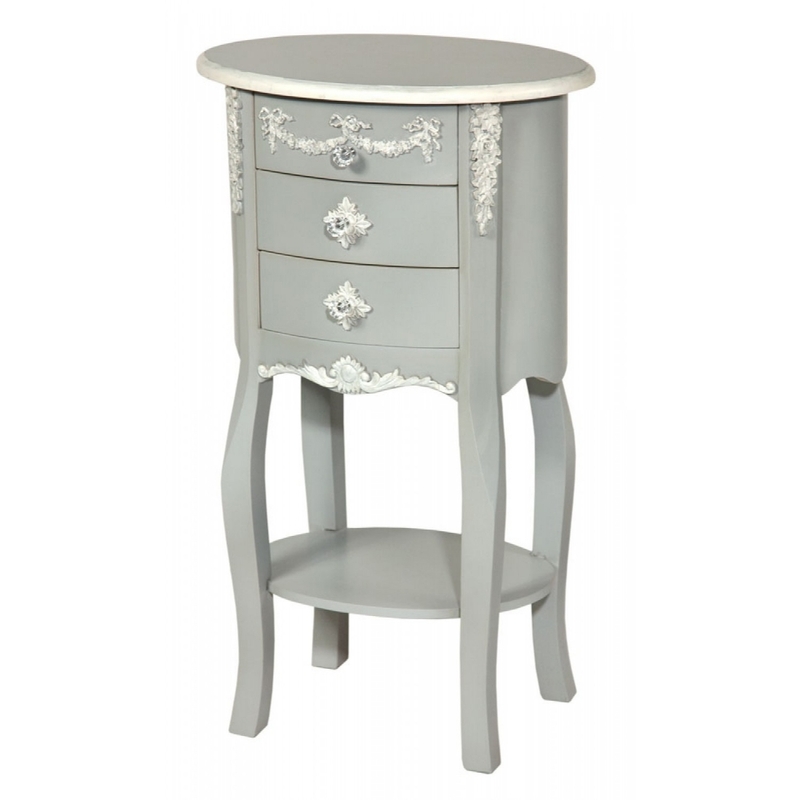 Uplift your bedroom with this gorgeous Antique French Style grey bedside table. An ideal new addition to your bedroom if your wanting that French overall shabby chic look. This great new item to any home and any will work perfectly well with any interior as it will go with any current decor because of its neutral colours and French Style touch. This is perfect to give detail and decor to any home because of its beautiful unique and simple but elegant twist to it.